Dream Marketing’s Rail Industry Technology Roadshow, in association with Rail Forum Midlands, will make another appearance in June 2019 following a successful debut in June 2018. 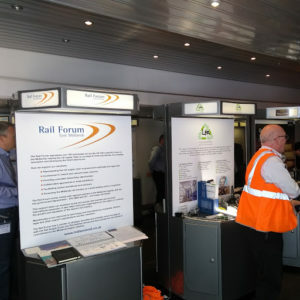 The Rail Roadshow is an amazing opportunity to come and present your products, services and technologies on board a unique exhibition vehicle directly inside the customers premises. Network Rail, Bombardier Transportation, Siemens, Alstom, Hitachi and CAF are on the proposed tour list for 2019. The proposed schedule sees the event running from June 3rd – 12th.